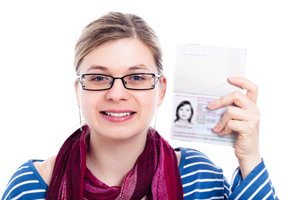 Canada Temporary Visa Overview - Canada Immigration and Visa Information. Canadian Immigration Services and Free Online Evaluation. Canada welcomes more than 35 million temporary residents each year. Unless they are Canadian citizens or Canadian Permanent Residents, individuals coming to Canada for the purpose of visiting, studying or working may need a Temporary Resident Visa (TRV) from Immigration, Refugees and Citizenship Canada (IRCC) to enter Canada. 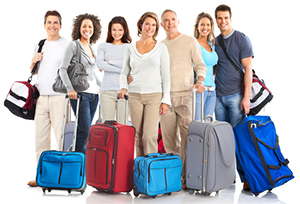 A visitor visa allows you to enter Canada as a visitor or tourist. Generally, you can stay in Canada for up to 6 months as a visitor. A study permit allows a foreign national to study in Canada at a specific Canadian educational institution and in a specific program. A work permit allows a foreign national with an offer of employment from a Canadian company to work in Canada on a temporary basis. A super visa allows parents or grandparents of Canadian citizens and Permanent Residents to remain in Canada for up to 24 months at a time without the need for renewal of their status.